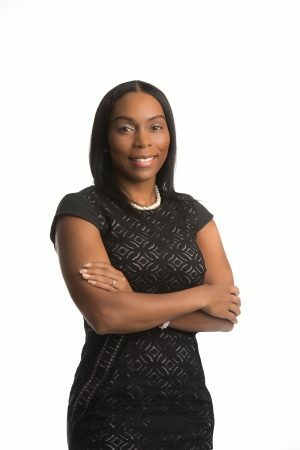 The Texas Board of Legal Specialization (TBLS) recently announced that MarJuana B. Williams received Board Certification in Commercial and Residential Real Estate Law. MarJuana currently practices in Houston and Beaumont where she is part of the law firm Orgain Bell & Tucker, LLP. TBLS is one of the largest legal board certification programs in the country that presents opportunities for Texas attorneys to advance their careers and become distinguished. Board Certification is a voluntary designation program certifying Texas attorneys in 23 specific areas of law. Board Certified attorneys must be licensed for at least five years, devote a required percentage of practice to a specialty area for at least three years, attend continuing education seminars, pass an evaluation by fellow lawyers and judges and pass a 6-hour written examination. To remain certified, attorneys must apply for recertification every five years. MarJuana B. Williams is a 2009 graduate of South Texas College of Law. Since joining the firm in 2010, MarJuana has developed a hybrid transactional and litigation practice with an emphasis on commercial lending, real estate transactions, and construction law. MarJuana negotiates and drafts loan-related documentation, including but not limited to, credit agreements and collateral documents, purchase and sale agreements, revolving credit agreements, and letters of credit. MarJuana advises financial institutions on a broad range of real estate financing transactions, including secured and unsecured syndicated loan facilities, interim construction loans, land acquisition loans, land development loans, leveraged buyouts, other acquisition financing arrangements and leverage lease financing. MarJuana is experienced in providing counsel with respect to acquisitions and dispositions; development, redevelopment and construction; leasing (landlord and tenant representation), compliance (ADA, EEOC, Environmental and other regulatory issues); financing, due diligence; partnerships, limited liability companies and joint ventures; and other real estate services. MarJuana brings a pragmatic, efficient and cost-effective approach to each transaction. MarJuana routinely represents business entities and provides tax planning guidance to businesses and individuals alike. Her practice also includes wills, trusts, estate planning and probate services.